I love my life! This is my life! As a child, I have always loved musical box. The soft melody and the sight of a delicate little ballerina that would swirl and swirl around in a small jewel box that my mother used to own. I remembered winding the box up again and again just to listen to the music and watch the ballerina twirl. I believe no one can resist the magic of a musical box. My little girl was exposed to musical box in a form of a train 3 years ago. She , too, loves musical box. Organised in conjunction of the Singapore Heritage Festival (SHF), we registered with Singapore Musical Box Museum to enjoy a free admission as well as tour. The trip was a truly eye opener! I did not know that they come in all sorts of sizes. The 2 wonderful guides explained to us the history and evolution of musical boxes. I am totally impressed! I believed those who are with us were too! 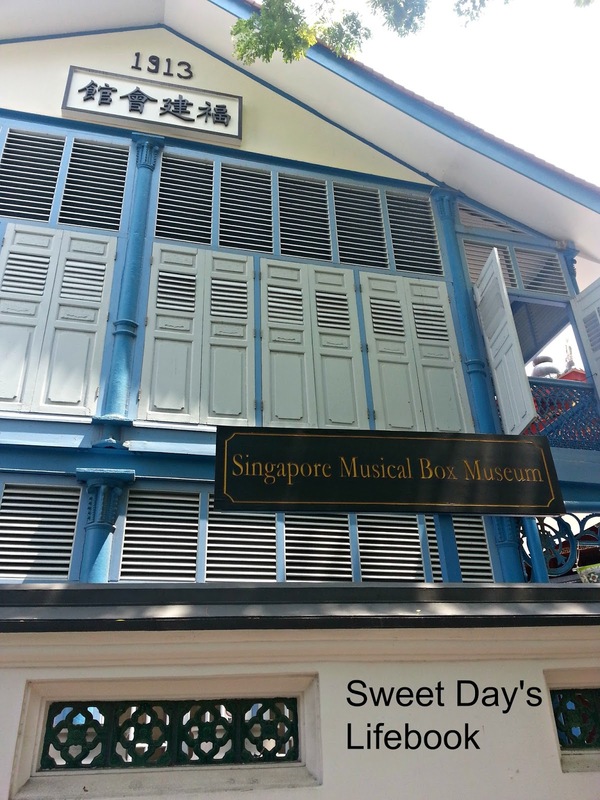 The Singapore Musical Box Museum is the first of its kind in Singapore. Although the museum was opened in Nov 2015 to the public, I was not aware of its existence until this SHF. Its founder is a Japanese collector Mr. Naoto Orui. He moved his collection from his Minamichita Music Box Museum in Mihama, Japan, to Singapore. 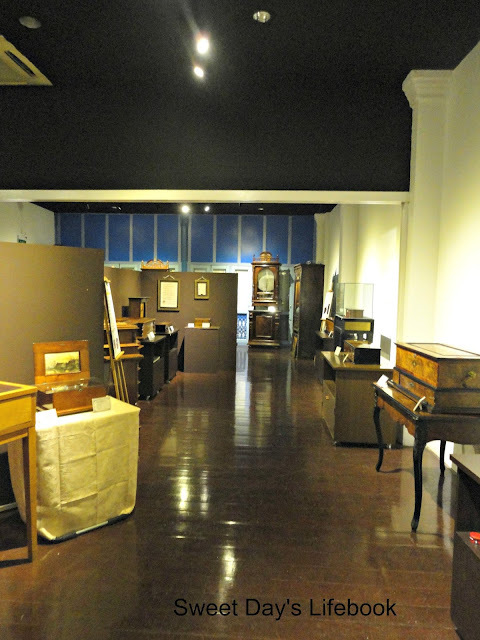 Many of these exhibits are his collection. Currently, there are over 40 of them in the museum. 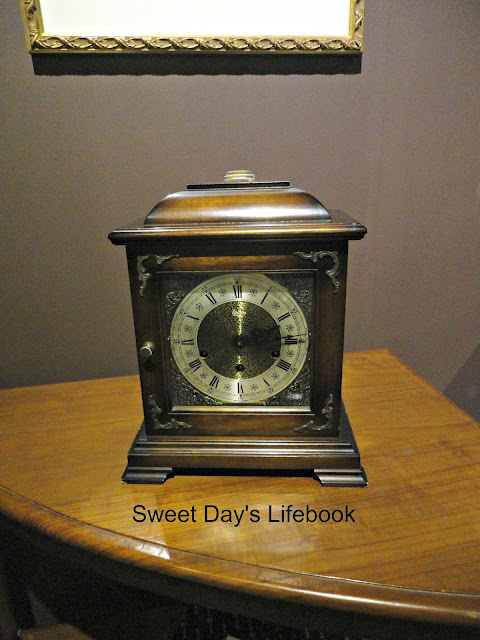 Music boxes are similar to the chime mechanism of old clocks. The museum is not huge but nevertheless, it is fascinating! 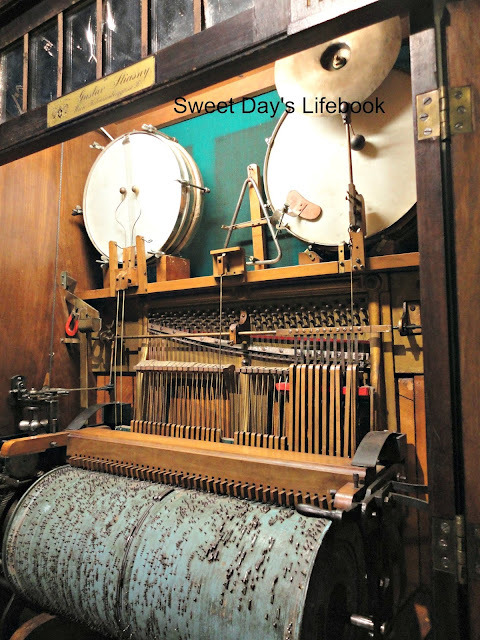 The first part of the tour is about cylinder music boxes. These are made of a revolving cylinder with pins on it. The cylinder would be spinned and at the same time, it plucks the pins of a comb to make music. 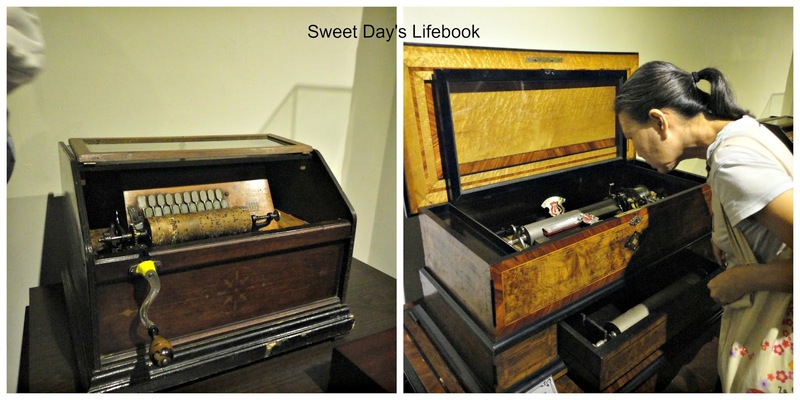 Some of these have interchangeable cylinder to play different music in the same musical box. In the early days, only the super wealthy could afford to have musical boxes as they were expensive. The cylinders with the pins had to be man made. Mandolin Tremolo Zither (Switzerland) 1880s. Next session, we were introduced to the disc musical boxes, German music box artisan Paul Lochmann created discs instead of cylinders. Discs can be mass produced, unlike cylinders of the time, which had to be hand made. Thus, disc music boxes can be made for a much lower cost and be brought to more people to enjoy. Doesn't this reminds you of a vinyl player? Then, we explored the coin slotted musical boxes, these are giants! They are as big as a grandfather's clocks. They need antique coins to operate. Modern coins does not work on them. They are that specific. It was to go into the Titanic, but they wanted a larger box on it, and this went to the Atlantic instead. It has parts of a piano , bass drum, snare drum and even a triangle. Giant cylinder of the "Atlantic"
This is a precursor of the jukebox! Look at the number of disc it has! Yes, you can choose which song you want it to play. Are you surprised to know that Singapore manufactured musical box as early as late 1800s? I am! 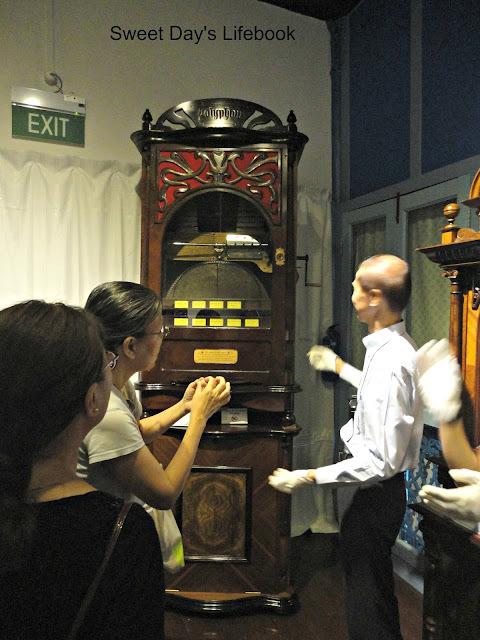 The guide explained that as Singapore was under colonial rule, the British had taught Singapore craftsmen how to repair watches and clocks. 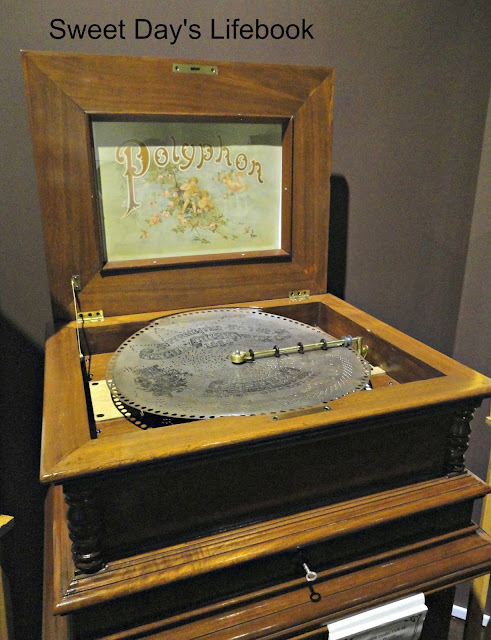 Subsequently, when musical boxes were brought into the country, the same craftsmen would repair and maintain, eventually going on to make the musical boxes themselves. I wonder what tune would "China" play. Unfortunately, it is still waiting for restoration. If you wonder, why it was named "China", we were told, during the colonial time, any place in the East was considered China. Hence, this piece of work is consider that from China. Limited edition scarf by Hermès made in 1996 and a musical cigar holder in front. The musical cigar holder. It's mind blowing that people use musical for almost anything, not just for pure entertainment. The guides even ask us to take a look at the architecture of this place. 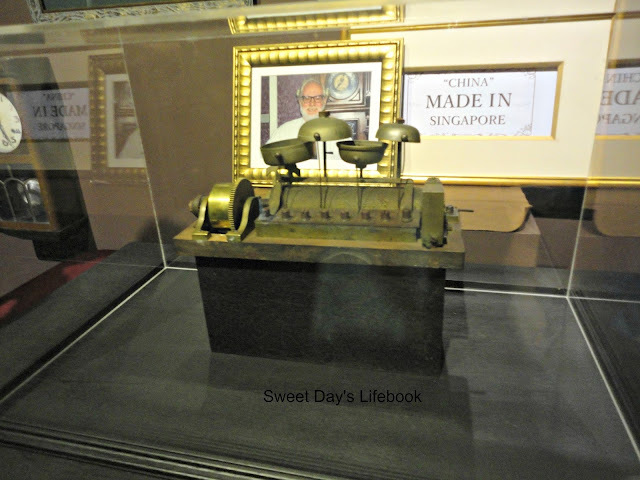 Chong Wen Ge was the first education institution set up by the Chinese community in Singapore. 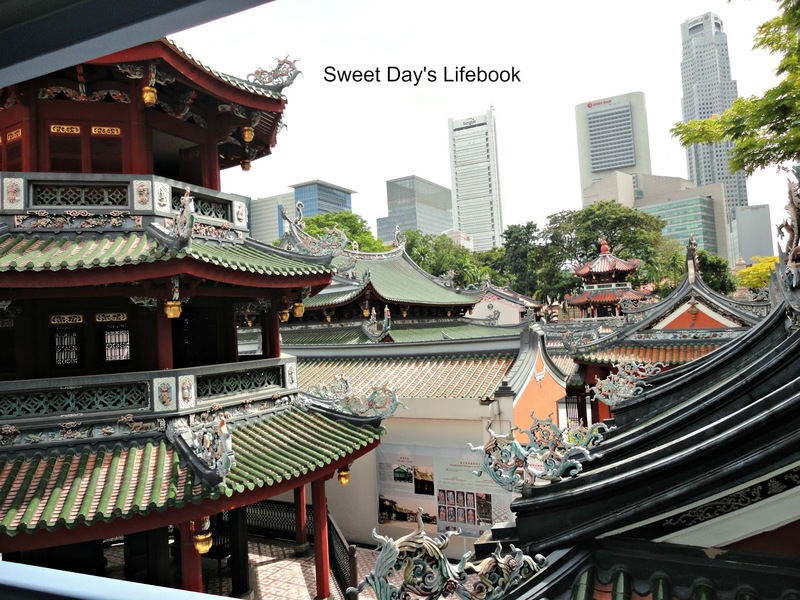 Thian Hock Keng Temple is Singapore’s oldest Chinese temple. Both gazetted as national monuments in 1973. "Chong Wen Ge In the past, two institutions flanked Thian Hock Keng: Chongwen Ge (崇文阁, ‘Institute for the Veneration of Literature’), Singapore’s first Chinese school; and Keng Teck Whay (庆德会), a private Straits Chinese self-help association. In 1849, an outstanding Hokkien Peranakan merchant, Tan Kim Seng (陈金声), spearheaded the construction of Chongwen Ge. Besides the Hokkiens, members of the Hakka and Teochew communities also contributed generously to the project. Originally, Chongwen Ge comprised the Chongwen Pagoda and Chong Boon Gate. Chong Hock Pavilion was added in 1913. Having outgrown its facility within the temple grounds, Hokkien Huay Kuan moved into Chong Hock Pavilion in 1915. That same year, it established Chong Hock Girls’ School (崇福女校), one of Singapore’s earliest Chinese schools for girls. The name ‘Chong Hock’ (崇福) was an honorary title given to Mazu in the imperial court during the Song Dynasty (960–1279). The temple remains an important place of worship among local Chinese Buddhists and Taoists. Between 1998 and 2000, Thian Hock Keng underwent a major restoration which earned it an honourable mention in the UNESCO Asia-Pacific Heritage 2001 Awards for Cultural Heritage Conservation. Thian Hock Keng and Chongwen Ge were gazetted collectively as a National Monument." 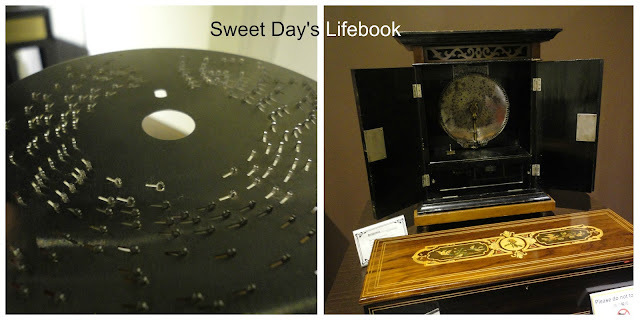 Thanks to SHF, both Little One had an educational tour on musical boxes. 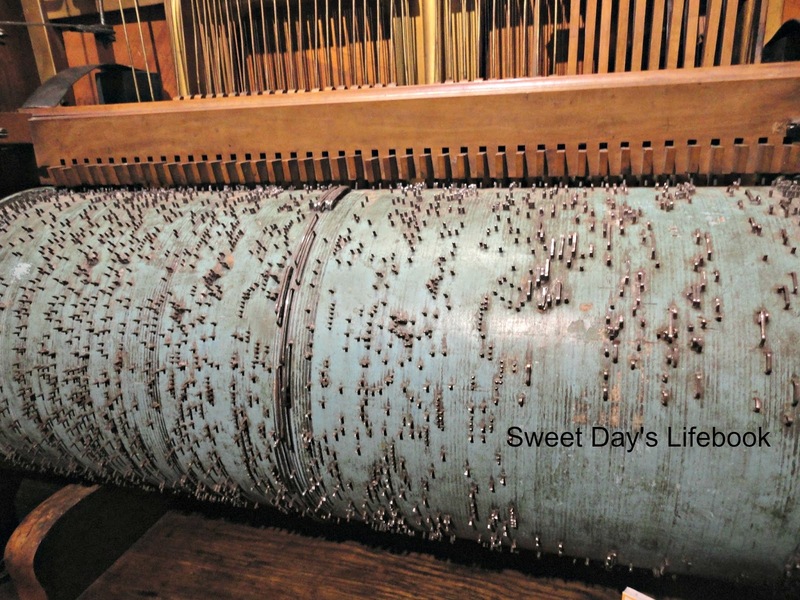 It is amazing that musical bozes that were 2 centuries old are still functioning today! A tip from the guides to maintain the music boxes is to play it often. 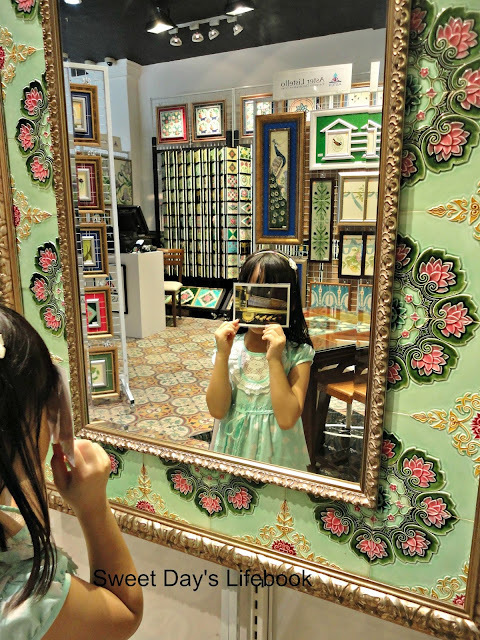 Also in Chong Wen Ge is Peranakan Tile Gallery. 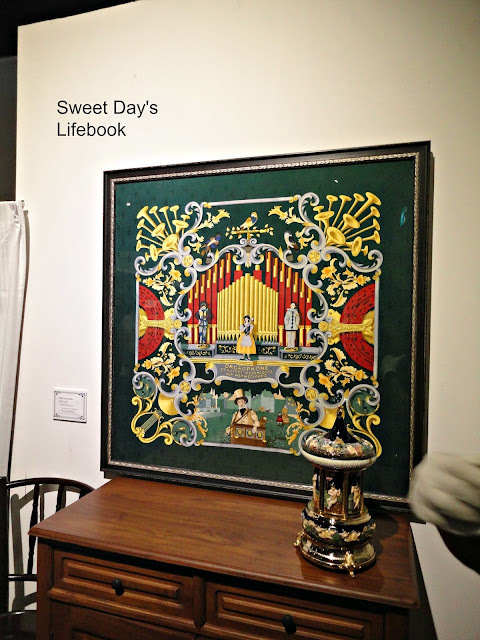 If you are a tile lover, do check this place out! It opens daily from 12-5pm. Look at those lovely tiles and the mirror , of course! My favorite is the peacock and plenty, plenty more! If you are in Telok Ayer, do consider paying this place a visit. They have a gift shop too! 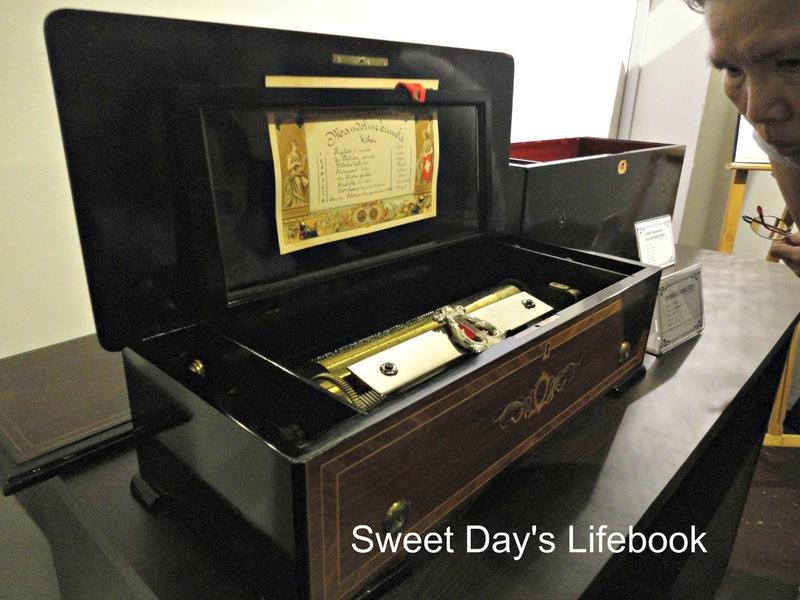 What a fascinating variety of music boxes!! 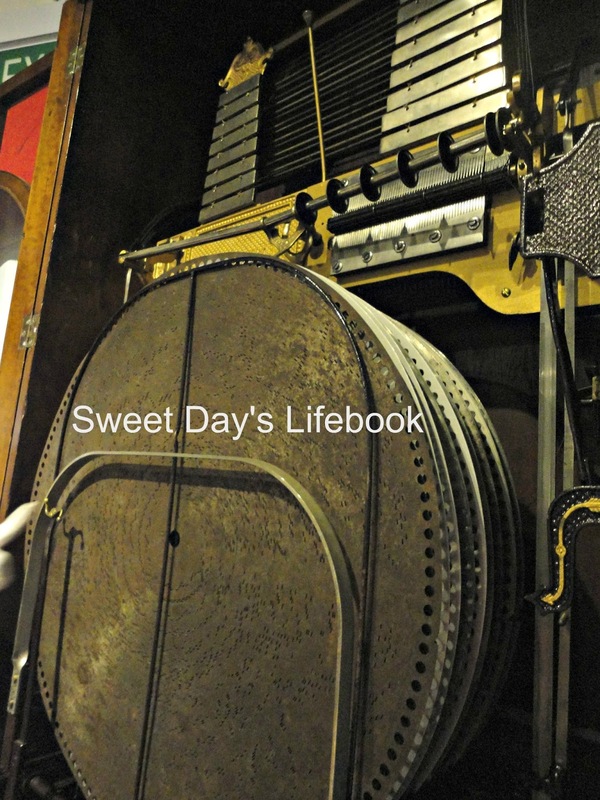 When my grandmother died, I received one that they had taught me to love as a child. I treasure it. I have a happy family complete with a child. 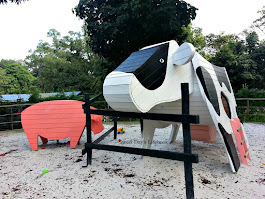 I blog mostly on my thoughts, food and activities for family. All the photos and videos are taken by me unless stated otherwise. Please do not reproduce any content or photos , except recipes, without my permission. You may however create a link to my website. 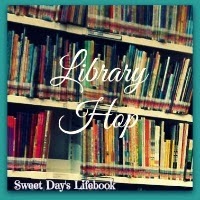 I am still in the process of revamping my blog, adding blog buttons and so on... but seems that I have a long way to go! If you have been enjoying our posts, like us on facebook. 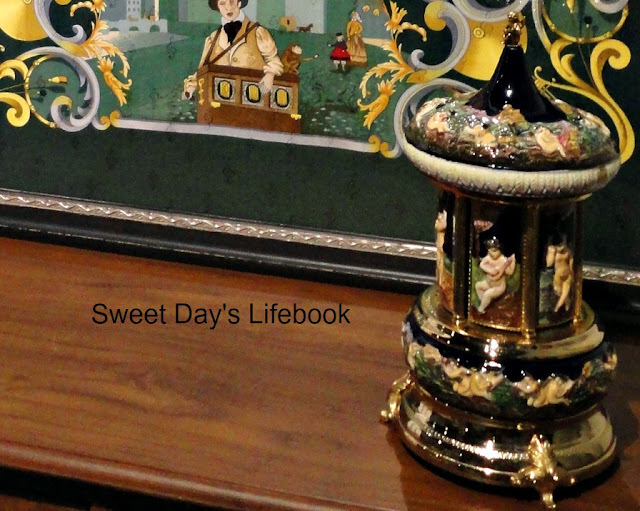 I would share happening places every now and then on the page.